At first glimpse, coco coir looks like soil, but it is actually a by-product of processing coconut husk fibre. 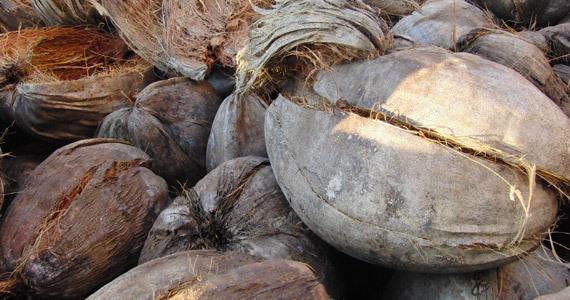 Coco coir is the name given to the fibrous material that can be found in middle layer of the coconut fruit (Cocos nucifera). Now what exactly do we mean by ‘CEC’? It all comes down to how easily the substrate releases nutrients that can then be taken up by the plant’s roots. 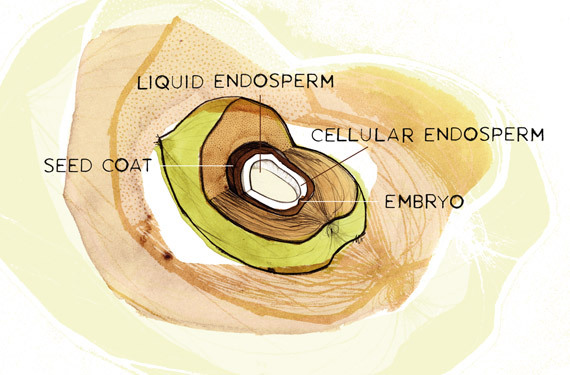 In order to understand this, we should think of the substrate as a storehouse for plant nutrients. Many nutrients, such as calcium and magnesium, may be supplied to plants from reserves held in the substrate. Others, like potassium, are added regularly to the substrate as fertiliser so that they can be taken up by the plants as they are needed. The relative ability of the substrate to store a particular group of nutrients – called cations – is called the cation exchange capacity or CEC of that substrate (see picture 2). Picture 2 - Schematic overview of the cation ion exchange in coco substrate. A coco substrate may consist of coir chips, coir fibre and coir pith. Chips are the biggest particles of coco used, and the dust is made up of the smallest. The coco substrate can be seen as a mix of microscopic particles which carry a negative charge. Each particle attracts positively charged ions. This is why natural, untreated coco particles have high amounts of sodium (Na+) and potassium (K+) ions. During cultivation, these ions are released making them available for the plants. Unfortunately, bivalent ions like calcium (Ca2+) and magnesium (Mg2+) bind to the coco substrate in their place. This means that these nutrients are less available for the plants, so there may be a shortage of calcium or magnesium. When we use a ‘washed and buffered’ coco substrate (right), the coco has been pre-treated with calcium fertiliser to enhance the potassium-calcium exchange. Of course, this is something that growers need to avoid and to prevent it from happening the coco substrate is often washed thoroughly to leach excess sodium and chloride. It is then pre-treated with a calcium fertiliser such as calcium nitrate to enhance the potassium-calcium exchange. This process is called buffering and it produces a coco substrate that is not likely to release excess potassium or bind the calcium and magnesium required for plant growth. It is also thought that the occurrence of favourable micro-organisms acts as ‘protection’ against plant pathogens. This was demonstrated in several experiments conducted in vitro which showed that coco coir suppressed the growth of soil-borne plant pathogens. One of these experiments showed that mycelia growth in the fungus of Phytophthora capsici was strongly inhibited when the growth medium was adjusted with an unsterilised coir suspension. On the other hand, the growth of P. capsici in the same medium was amended with a filter-sterilised coir suspension. Other experiments have demonstrated that the growth of Fusarium solani (picture 3) on water agar amended with non-sterile coir was completely inhibited. When the coco coir was completely sterilised, the growth of F. solani on water agar amended with autoclaved coir was no longer inhibited. Similar results were also obtained for Aspergillus terreus, a plant pathogenic fungus that produces toxins which inhibit pollen development. The results from these studies suggest that coir can suppress soil-borne plant pathogens in vitro and this ability is largely due to micro-organisms associated with the substrate. We now know that the famous Trichoderma fungus plays a key role in the ability to suppress plant pathogens, but the benefits of these micro-organisms during crop cultivation are still largely unknown. 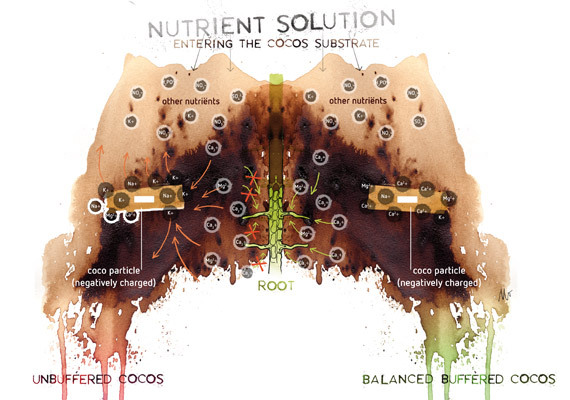 The whole concept of coco substrate, both its benefits and its disadvantages, will require adjustments to the nutrient composition and regime. CANNA was among the first manufacturers of specialised coco nutrients to come up with solutions for the release and binding of plant nutrients.